Add a pop of wow! 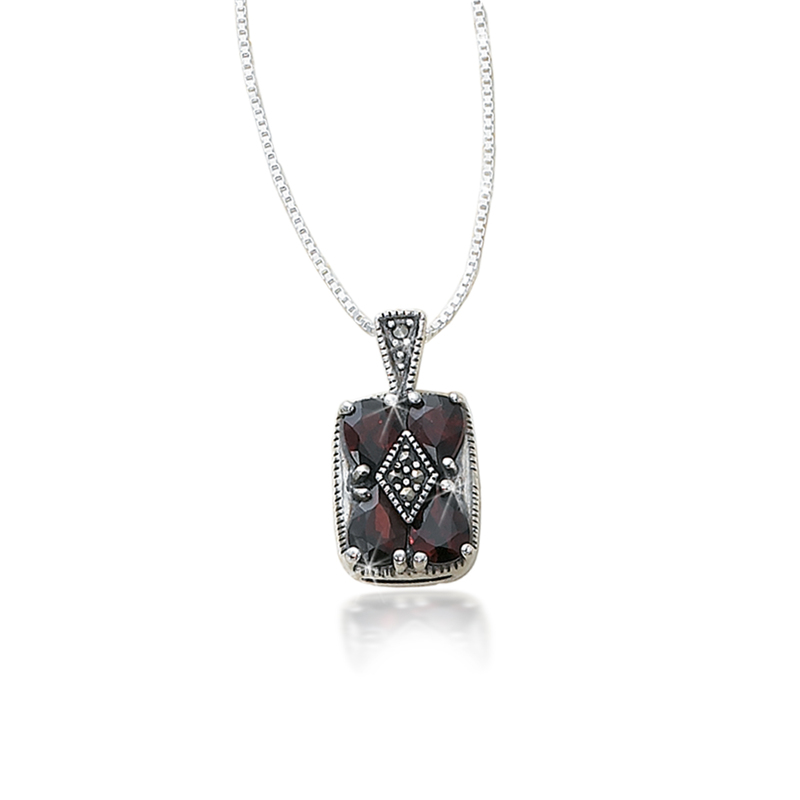 any time with this delicately styled garnet-encrusted sterling silver necklace on an 18" Venetian box chain. Telebrands © 2010. All Rights Reserved. Website Design Site Designed by Miles Technologies.